In my hometown, there’s a little grocery store where I pick up my cheese. I pay for it, bag it, and take it home to enjoy – without a second thought of what it’s made of, who made it, where it came from or what it took to get in my hands. When I was living like a local in Bologna I was invited backstage to the original Parmigiano-Reggiano cheese factory in Parma, Italy. I got a glimpse into how this world famous cheese is made before it’s exported or hits the grocery shelves. This city must be the cheesiest place on Earth. Sooo many cheese wheels! Each one weights 85 lbs! Travelling to Parma (a quick day trip just north of Bologna) I learned there is parmesan and then there is Parmigiano-Reggiano. It’s a pretty important distinction that has changed the way I buy cheese. 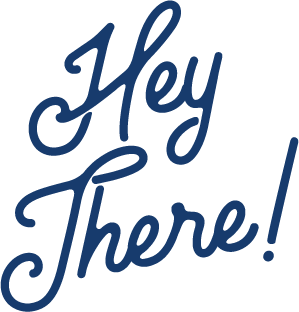 (Keep on reading because I think it will change the way you look at it too). It’s a highly regulated product with specific characteristics which means not all parmesan cheese can be called Parmigiano-Reggiano. There is a law by the European Union that helps protect traditional foods and cultural specialities in Europe. (Amazing! There are actual governing bodies trying to protect the authenticity of a culture!) It’s called Designation of Protected Origin and it’s enforced locally by the Consorzio del Formaggio Parmigiano-Reggiano. 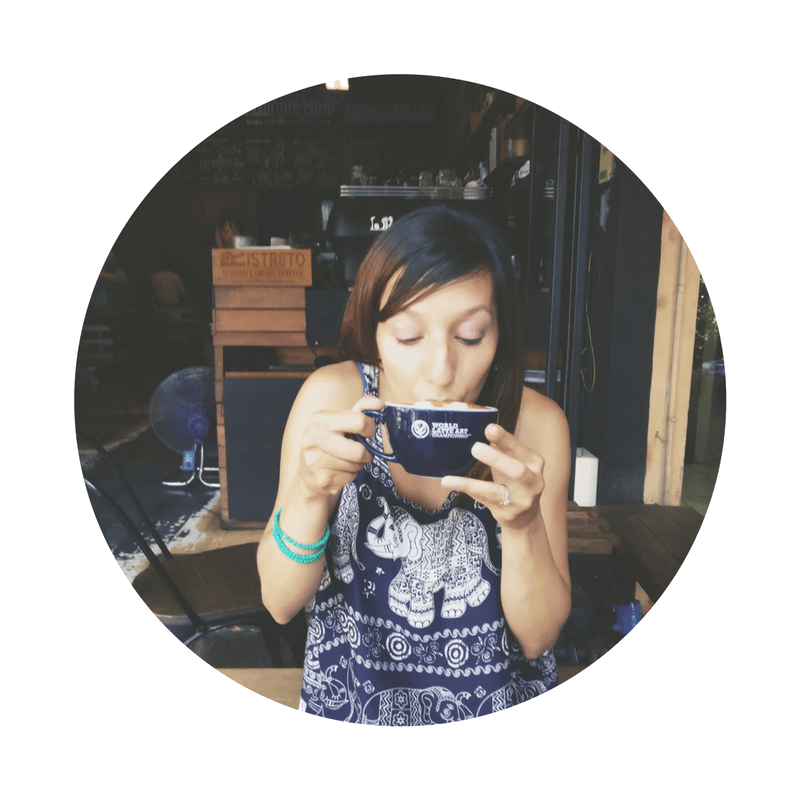 Whenever a product has the DOP stamp of approval it means it meets all the rules for production, quality and ingredients. It also helps to preserve the history and tradition of that product and the local producers behind it. Cheese can only be called Parmigiano-Reggiano if it’s made exclusively in Parma or Reggio Emilia regions of Italy and is made by specific producers. 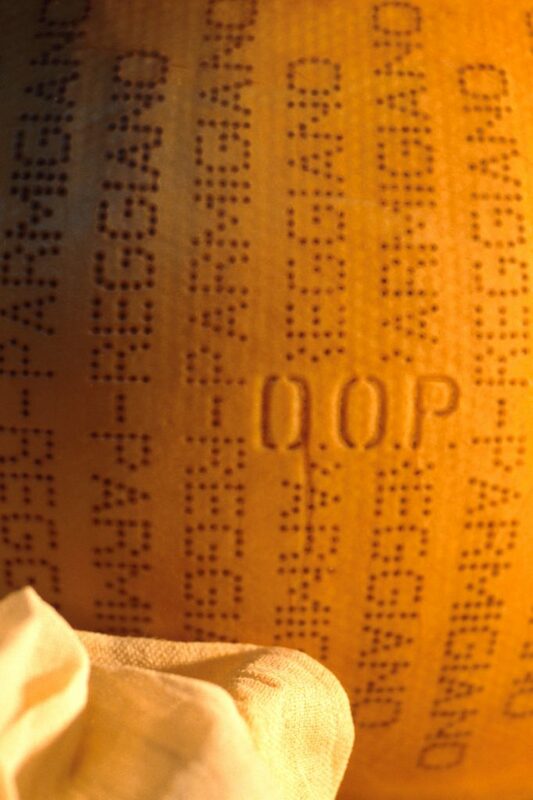 Each and every cheese wheel must be inspected before it gets its signature “dots” and stamp. It must be made in the same traditional method. Cows are only allowed to eat hay and they’re never milked more than twice a day. Production time from milking the cow to making the cheese cannot be more than 20 hours. 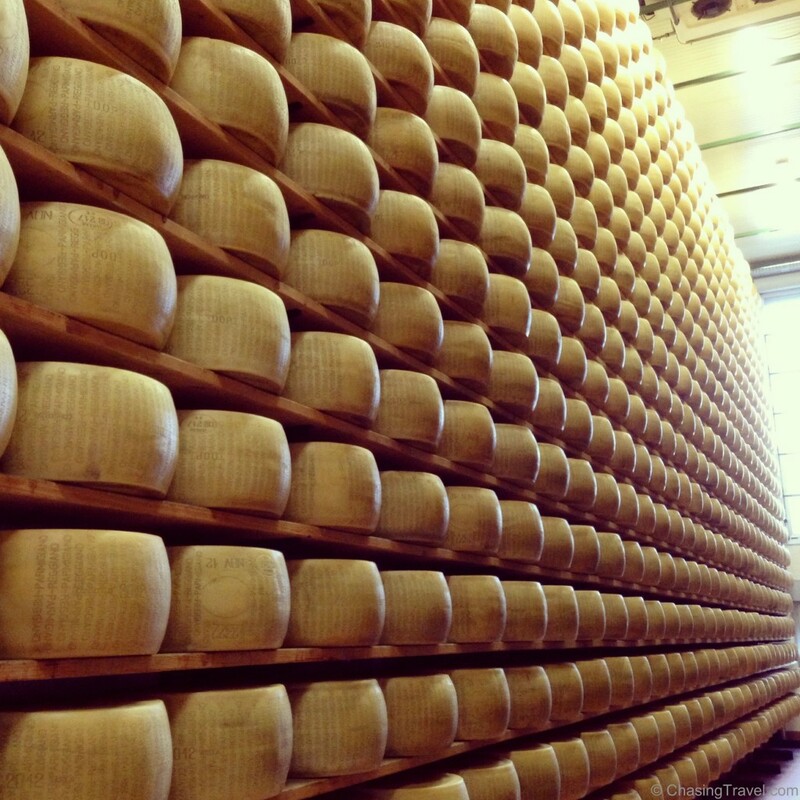 Parmigiano-Reggiano is completely sustainable – from it’s process to it’s ingredients. The organic and traditional production process has been passed down by 40 generations of cheese masters since the 1300s. The cheese makers here depend on little technology and handmade techniques. Cows are never over-milked in the process, fed unnaturally, or raised in confined feedlots. There are only 3 main ingredients in real parmesan – locally sourced milk, salt, and a natural enzyme from cows called rennet. Thats it. No preservatives. No colour. Its nutritional values make it one of the healthiest cheese you’ll eat. Fake parmesan cheese has other ingredients like cellulose powder, sorbic acid, and cheese cultures that are illegal in Parmigiano-Reggiano. Visiting the factory in Parma, I’ve gained a renewed appreciation for locally-produced cheese. Now, whenever I go to my grocer’s cheese department at home I feel like I could actually see that block of cheese in my hand being churned in a big copper tub. I understand the long way my cheese has traveled to get to this shelf and I have a new admiration for the hard work the local farmers do to produce something for others to enjoy. I only buy products with DOP labels on it now because I know it will help preserve the history and tradition of that product and the local producers behind it. Cheese from Parma in my grocer’s cheese aisle! Getting There: via Trento, 32, Parma. It’s a quick day trip from cities like Bologna, Florence, Milan or Genoa. Cost: You can book a guided tour for free. Depending on the time of year, it’s best to book well in advance. Get Your Guide also offers a cheese tasting tour at the factory or try their ham and cheese factory tour. I was a guest of Emilia Romagna Tourism. As always, all opinions are my own. 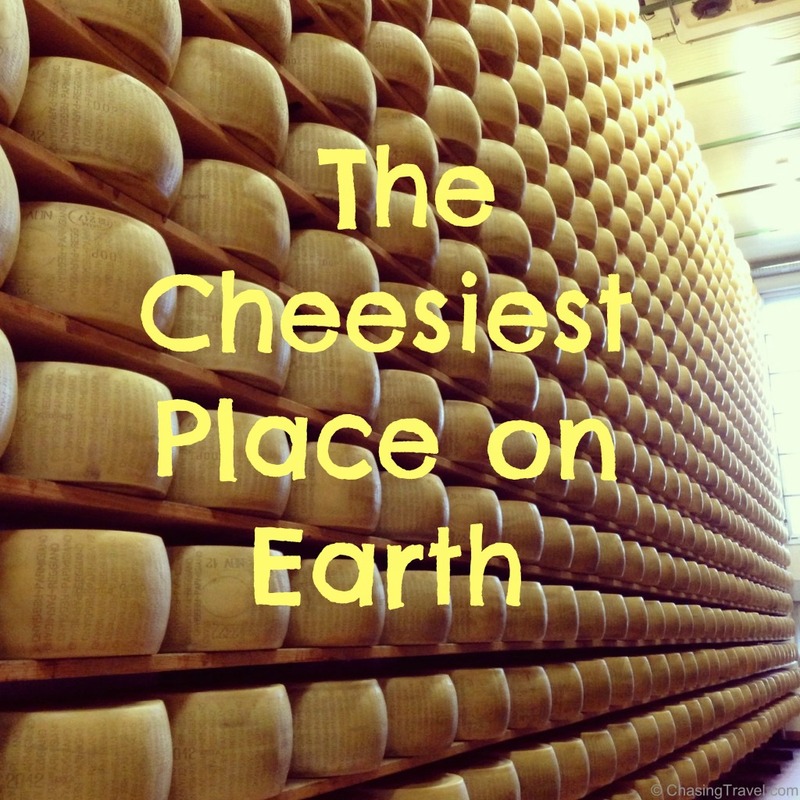 I love cheese and this place could be my happiest place on earth! 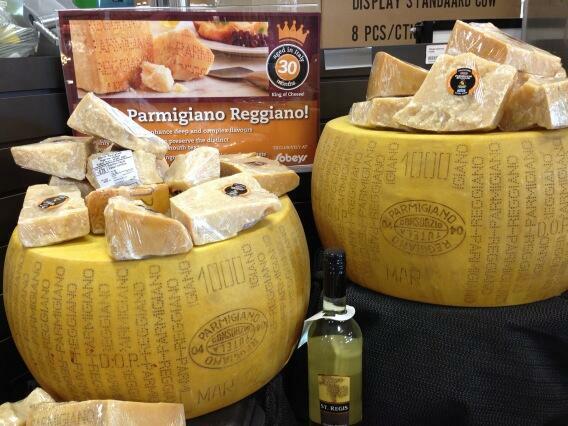 Parmigiano-Reggiano is definitely a premium cheese and I’d love to get my hands to lots of it. What a place! That is what heaven looks to me! Bah! I was so afraid one wrong move and they would topple over me! Abby, I wish this post had smell-o-vision!